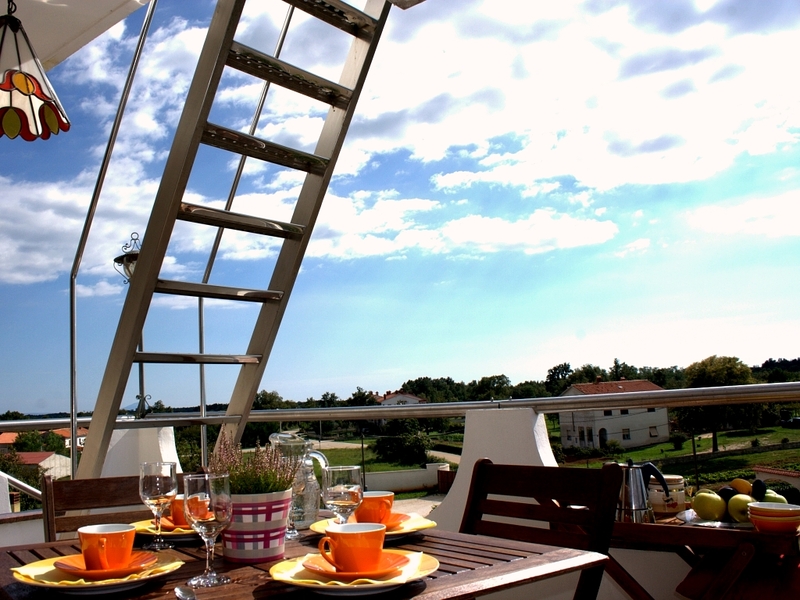 The original attic top balcony has a 360 panoramic viewpoint and offers you a scenic view of all of the surroundings, the green Istrian countryside and the sea in the distance. 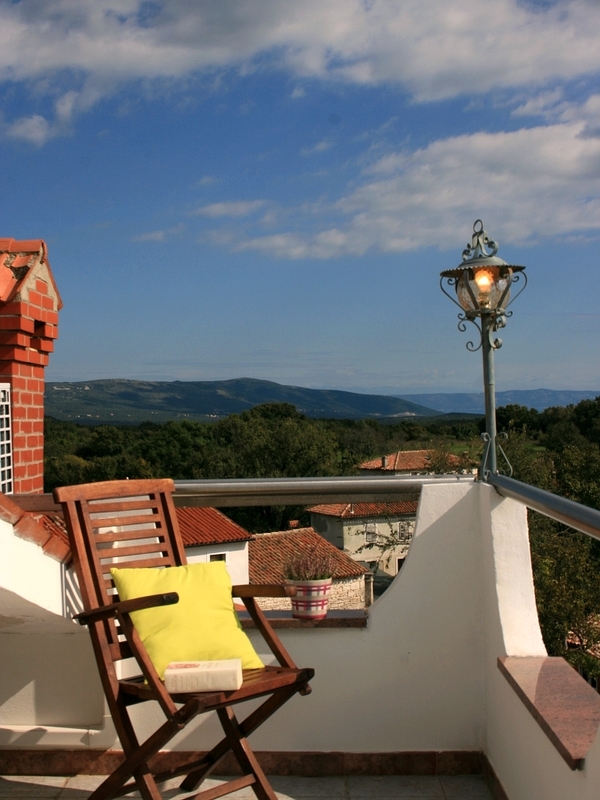 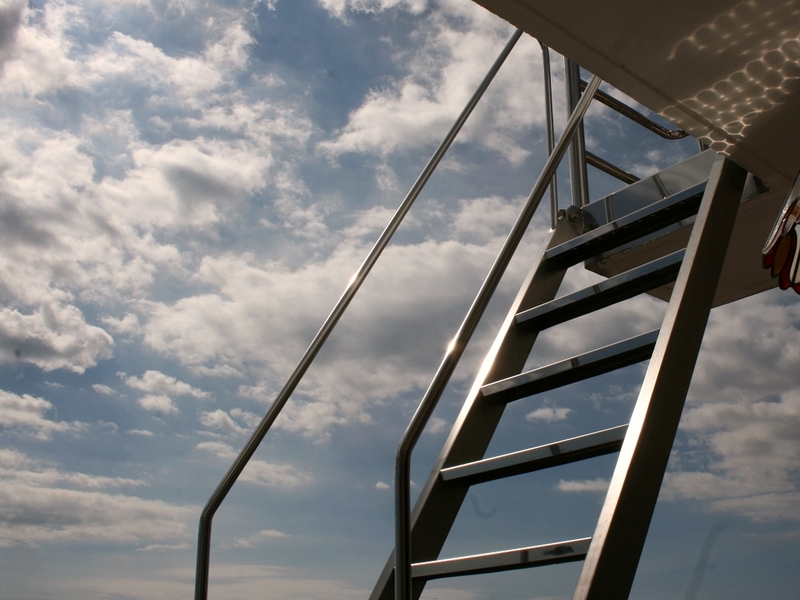 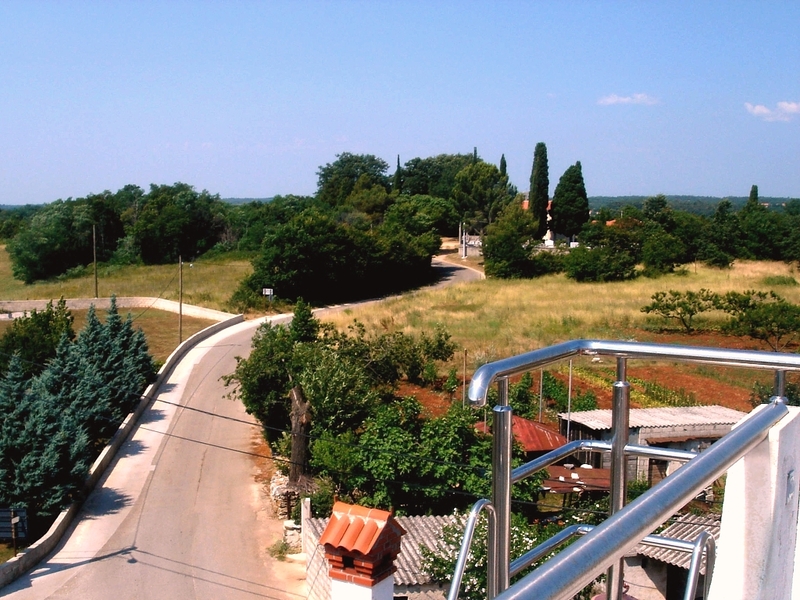 On a clear day you can see also the island of Cres and beautiful Istrian landscapes. 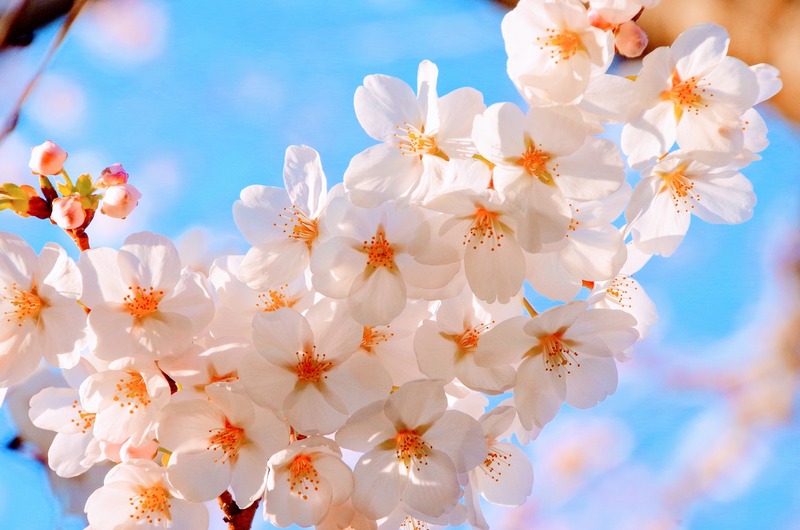 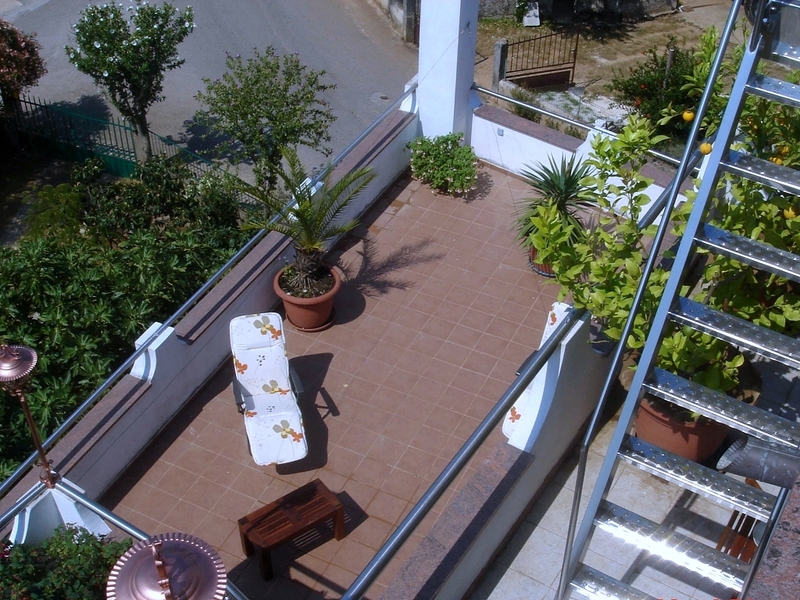 Particular care and attention has been devoted to inside and outside decoration, with Mediterranean plants, wooden furniture and elegant details. 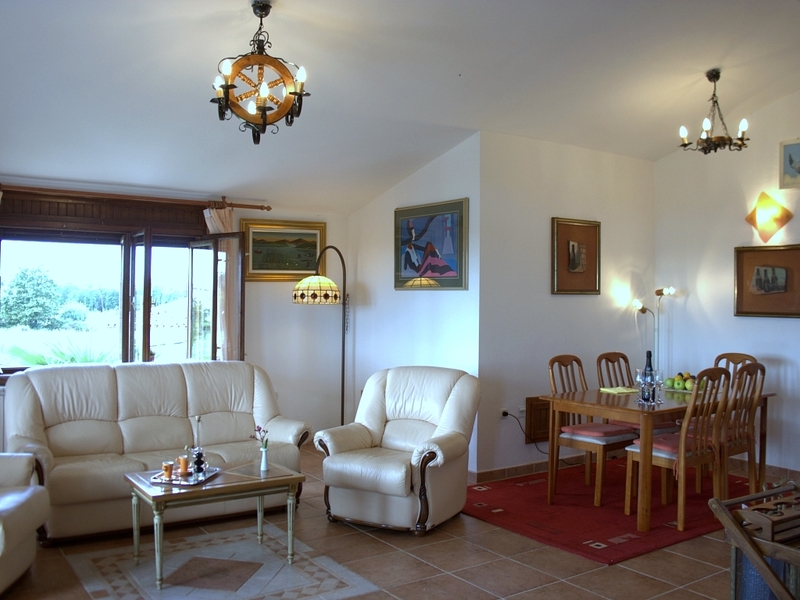 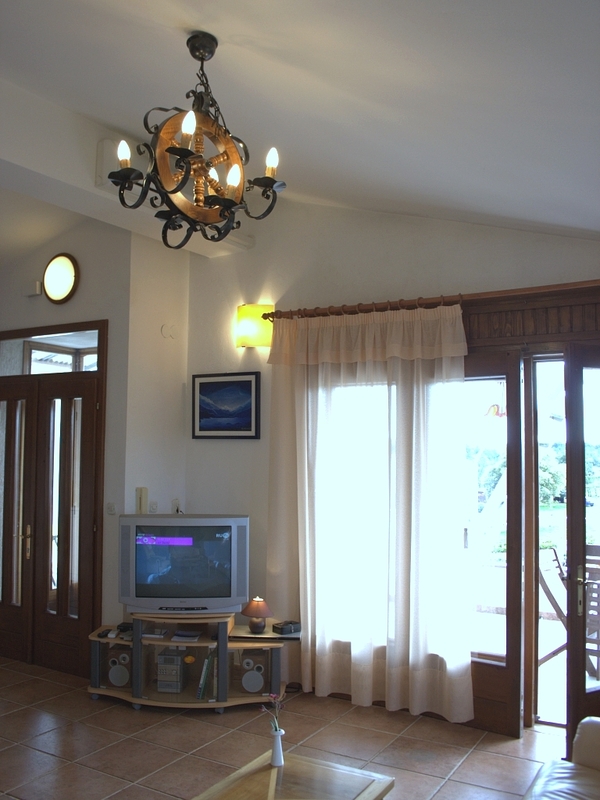 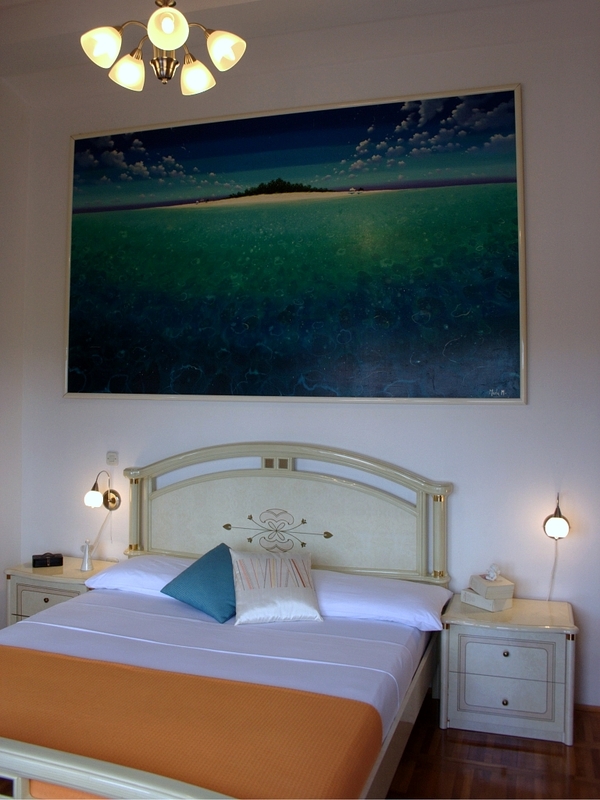 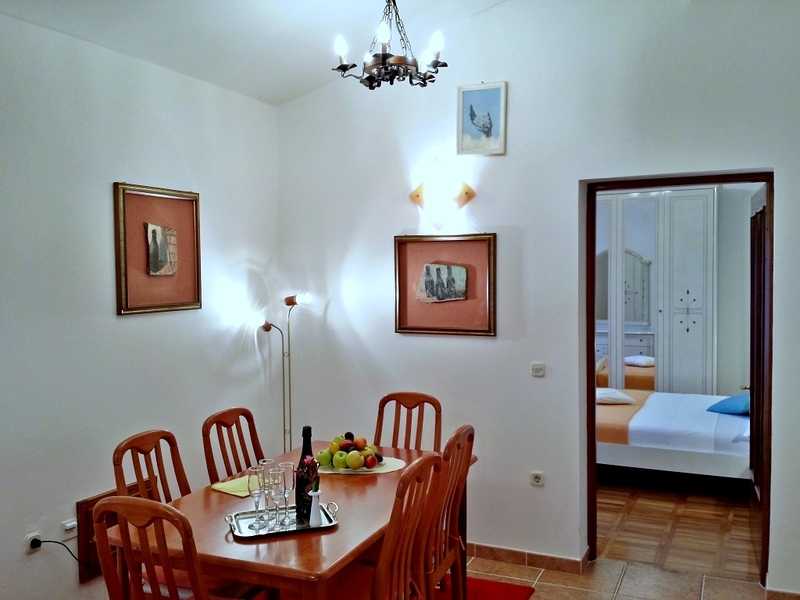 The holiday apartment includes a sunny and spacious living room and dining room, both furnished with elegant furniture and pictures painted by the same owner-artist. 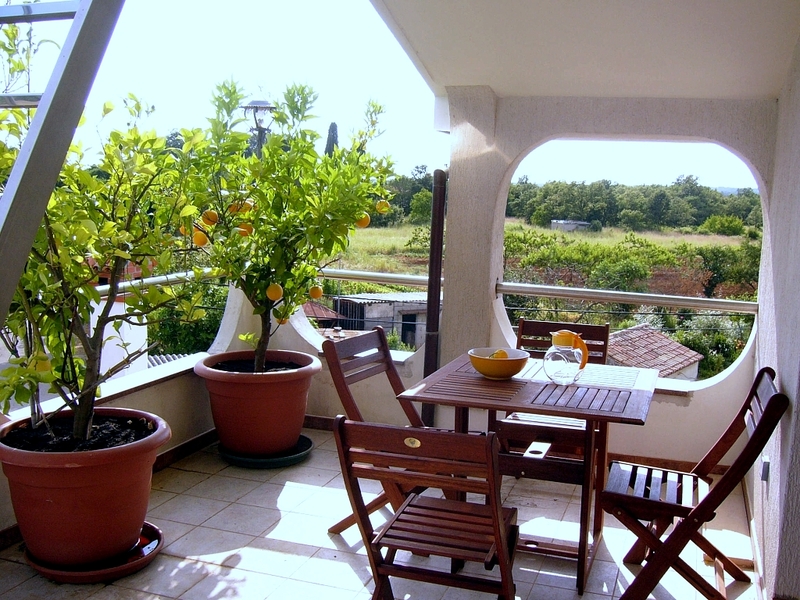 The living room offers a wide view of the green countryside and has direct access to the terrace, which is decked out with wooden furniture. 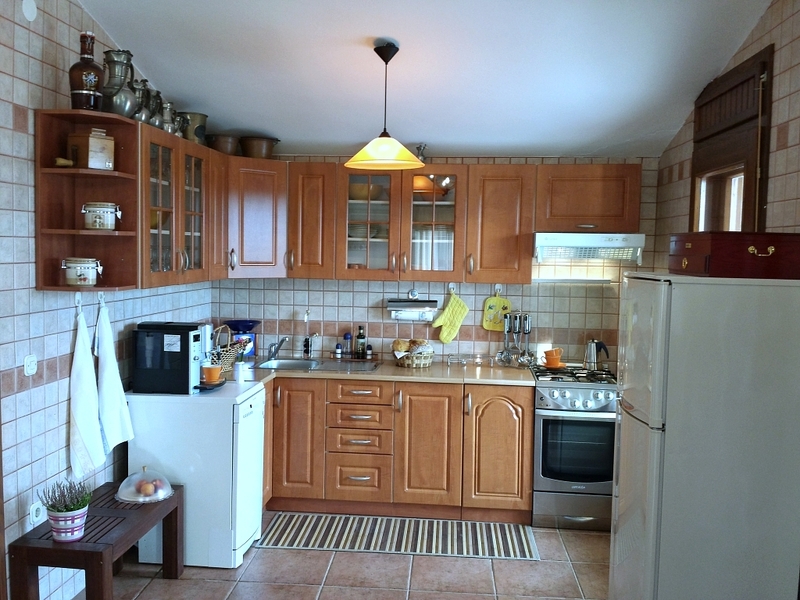 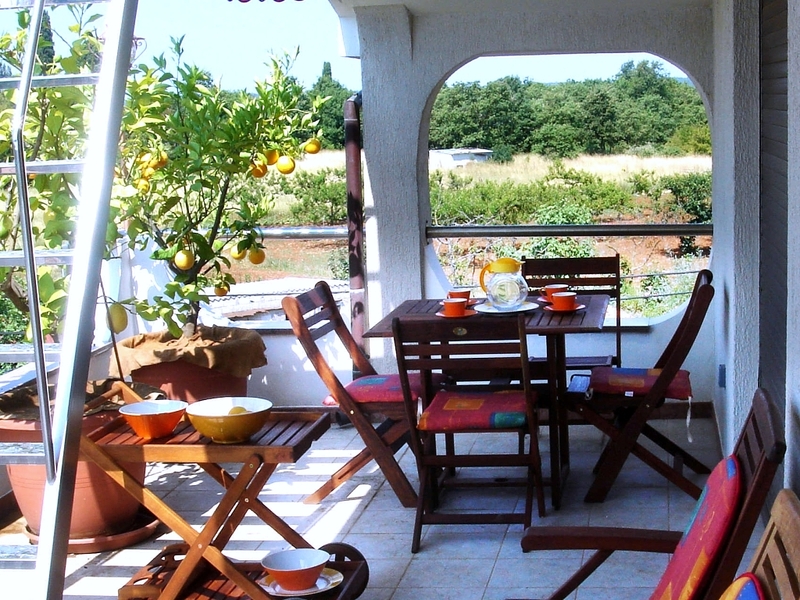 The bright and modern kitchen opens onto the living room and lead s straight to the terrace. 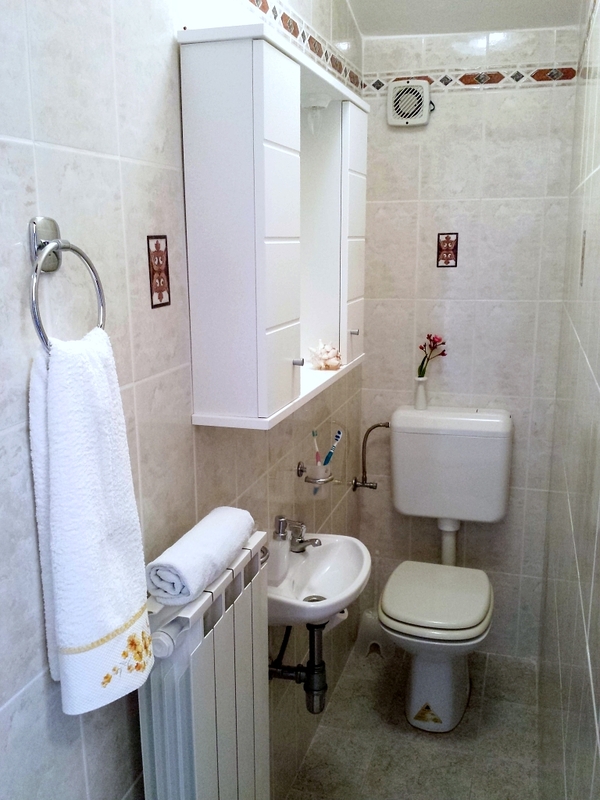 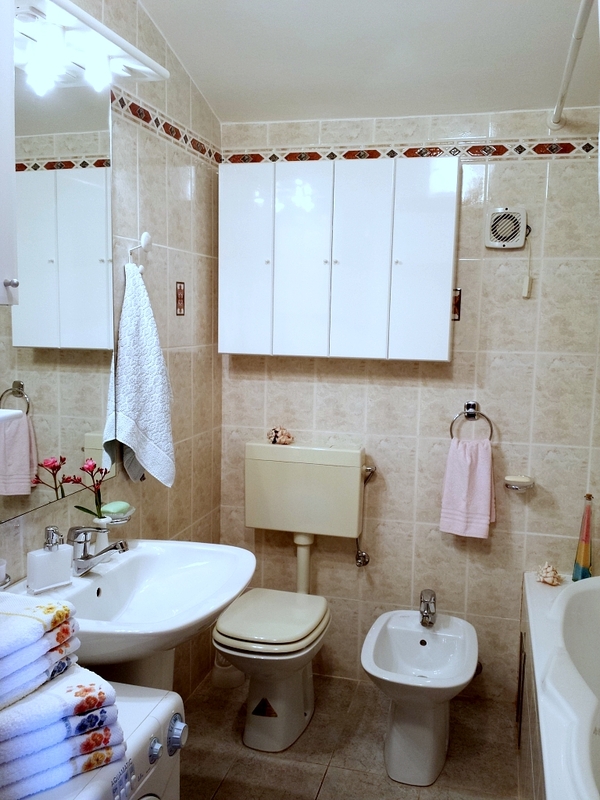 The apartment has a bright new bathroom with a large bathtub and separate toilet. 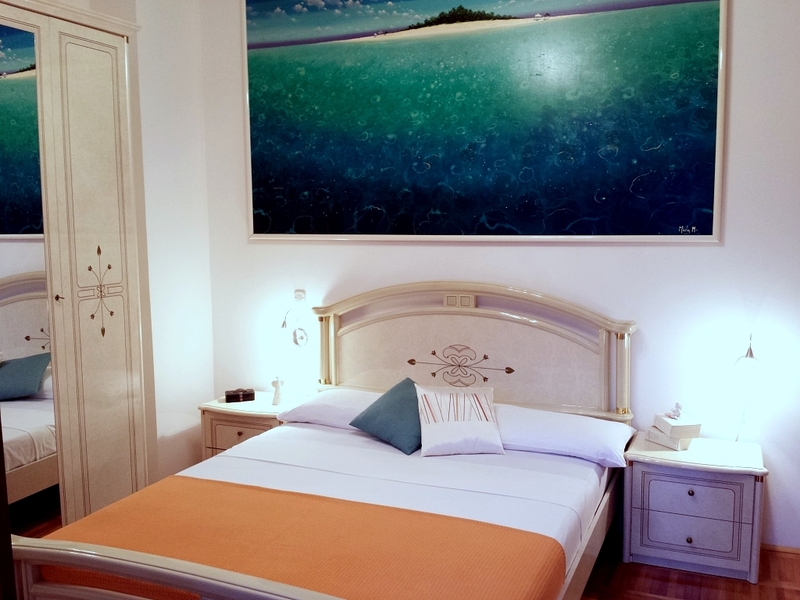 The two bedrooms each have their own balcony and large beds and are fully furnished with elegant furniture and parquet floors. 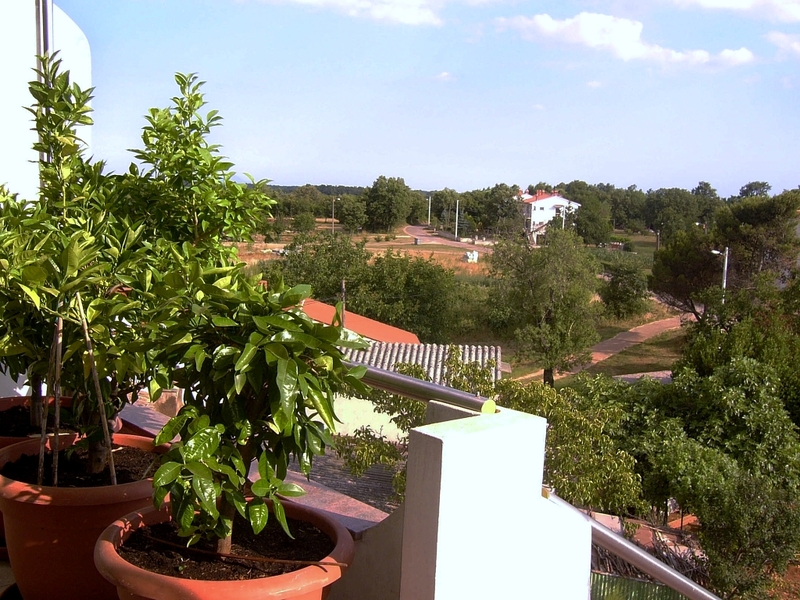 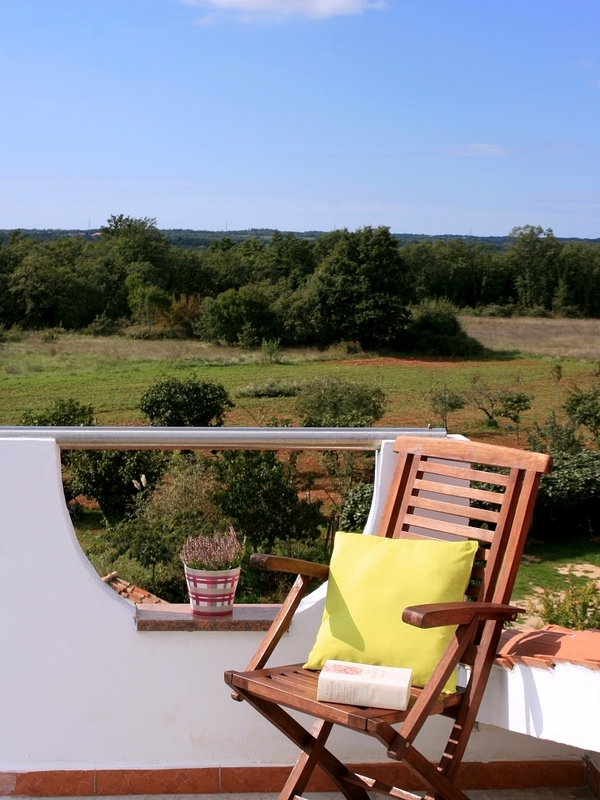 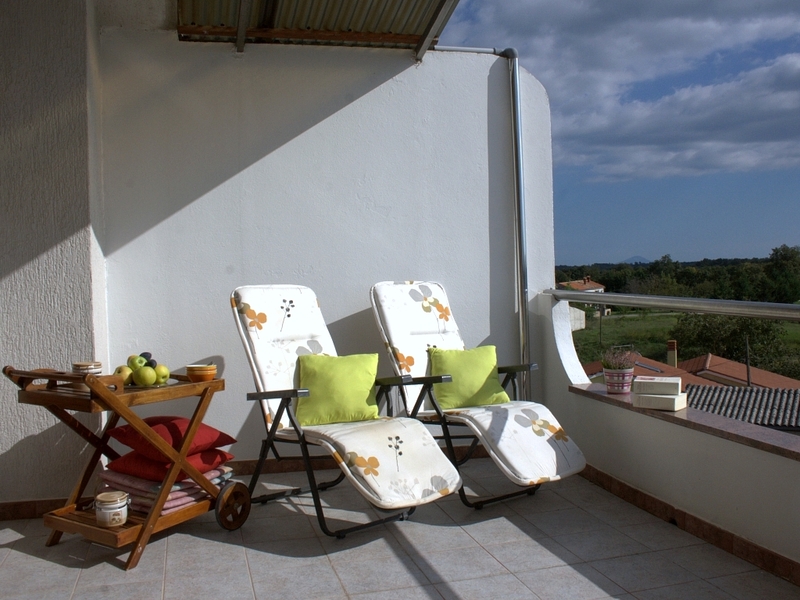 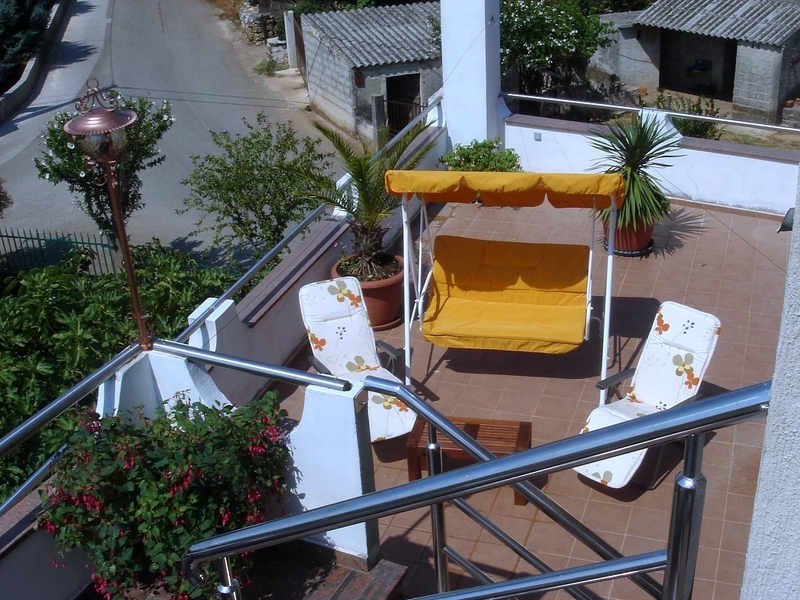 On a 50m2 large terrace you can enjoy the sunny days on the deck or the colorful sunsets in a rocking chair. 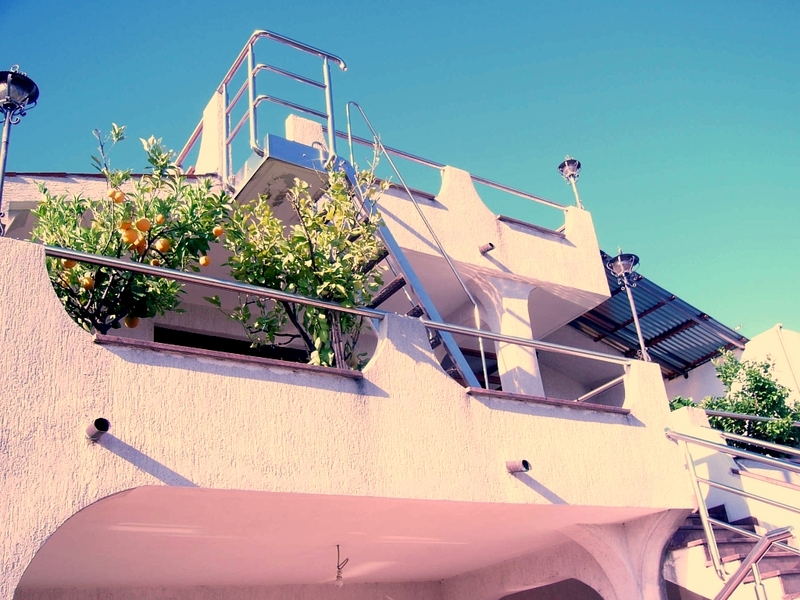 We offer you the maximum privacy with the penthouse private access.